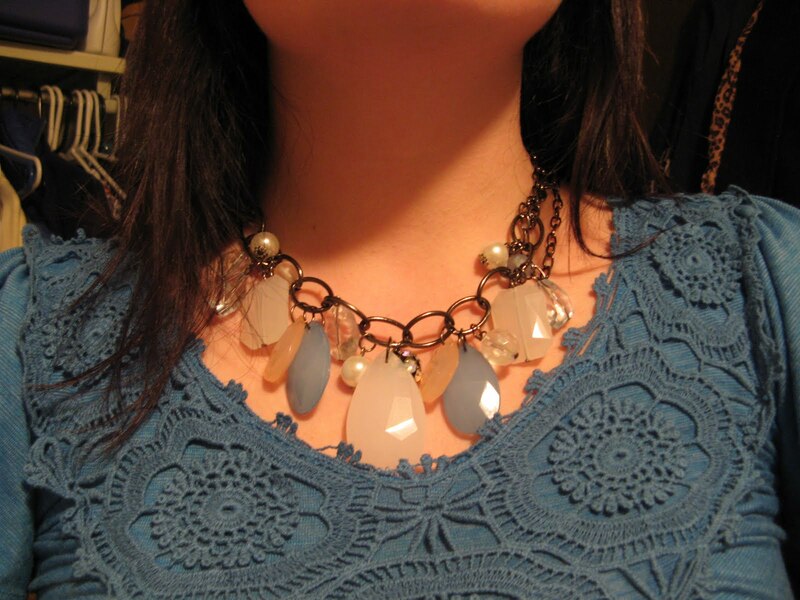 Speaking of things I love, I went shopping for some new jewelry yesterday (so I would stop stealing Kayla’s just about every day), and I found this awesome blue and white chunky necklace at Vanity. The first one I bought was actually faulty (it had been made without a clasp, so I couldn’t even fit it over my head), but the girl who rung me up replaced it for me and gave me even more of a discount on it. Can’t get much better than that–cute jewelry AND a great deal! !